Chon Sul Kwan is the actual Korean identity of our style ‘Tactical Hapkido’. The Chon Sul Kwan system of Hapkido was created by American Grand Master Barry Rodemaker in 2001 and is derived from earlier styles of Hapkido. Chon Sul Kwan is officially registered and accredited with the World Korean Martial Arts Union. Chon Sul Kwan emphasizes practical real world defense. One thing that set's Chon Sul Kwan apart is that the techniques are named instead of numbered and are taught in a very systematic order that makes it much easier to learn than various other types of Hapkido. Each subsequent belt rank builds on knowledge learned in the previous belt. "Tactical Hapkido is a conceptually driven, systematic approach to the way of coordinating energy in a tactical training environment." The path of instruction in Chon Sul Kwan is based around the geometry of attacker in relation to the defender and explores every practical Hapkido technique for each subsequent geometrical relation. Like other kinds of Hapkido, Chon Sul Kwan has kicks, punches, joint manipulation, and nerve attacks. This style of Hapkido focuses on lower kicks than some and is considered very friendly to older martial artists and/or people that suffer from physical disabilities. Another defining trait of Chon Sul Kwan it is a Christian Ministry Outreach program and is often taught in churches of many different denominations all over the world. As it is primarily a ministry, Chon Sul Kwan typically has much lower fees and is generally less expensive to learn and teach than other types of Hapkido. While not the first Hapkido school to explore distance learning techniques to teach students remotely; THA and Chon Sul Kwan were the very first Hapkido system to utilize an entirely web based learning system that relies on streaming instructional video and live, real-time, practice via webcam in a system they call the Digital Dojang. 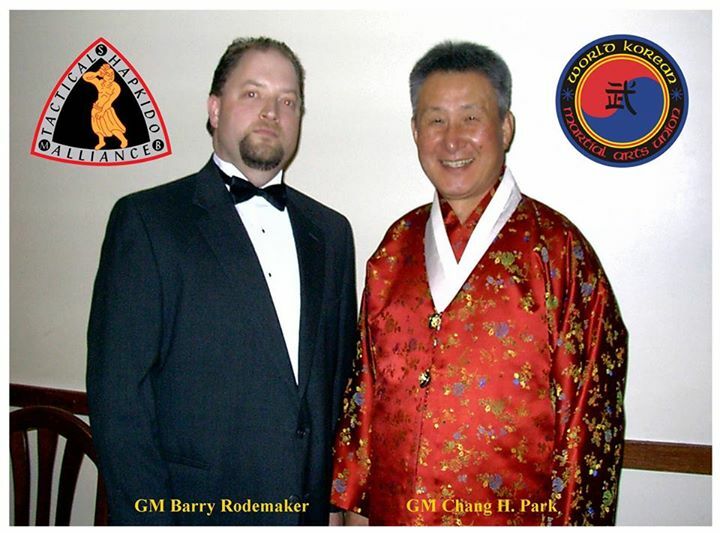 The Hapkido Online learning system was developed by Chon Sul Kwan devotee Jon Ferguson in conjunction with Grand Master Rodemaker and Master Tim Feathers. www.Hapkido-Online.com is a hotspot for distant and international Hapkido students and is a legitimate charter of the Tactical Hapkido Alliance. While Chon Sul Kwan is one of the newest Hapkido systems it is founded on very solid traditional Hapkido and has devotees throughout the United States and is gaining popularity worldwide.